All this week I will be with students from Alvernia University and their campus ministry director. We will experience 6 different religious communities and engage in service-learning with two organizations. Today we went to the Church of Latter Day Saints in Center City Philadelphia. We met with 3 members of the community who are missionaries, as they are known in their tradition. They gave us a tour of the building and we even sat in on a children’s class. 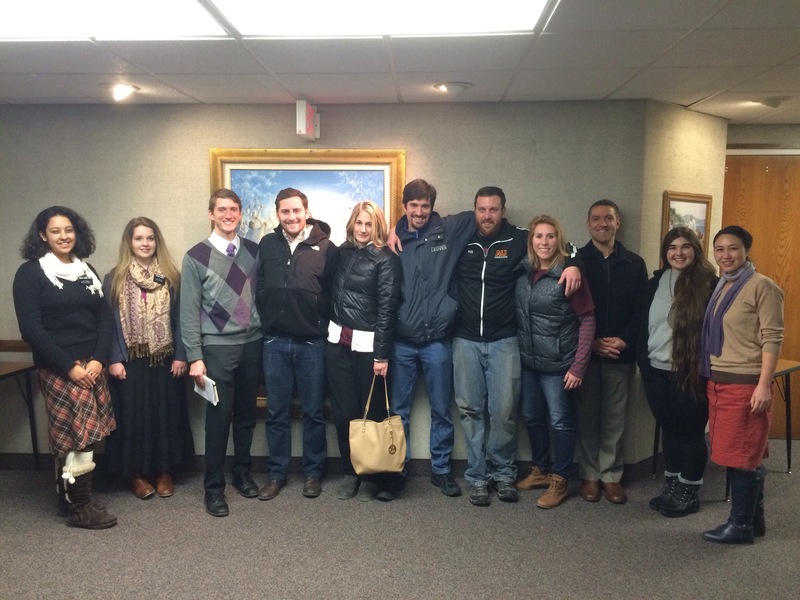 We heard their personal stories and learned about their perspectives on what it means to be a Mormon. Afterwards, we experienced their sacrament service comprised of singing, speakers, prayer, the sacrament (bread and water) and scripture readings. We were welcomed warmly and learned a lot! Being a missionary is not necessarily about getting more people to the church. It is an everyday action of sharing love with people in life. Also, I was greatly encouraged by their interest in pursuing service or social work with others, i.e. Cooperation. Let’s see what tomorrow may bring! We will be at the HMS school for children with cerebral palsy and Inglis House.